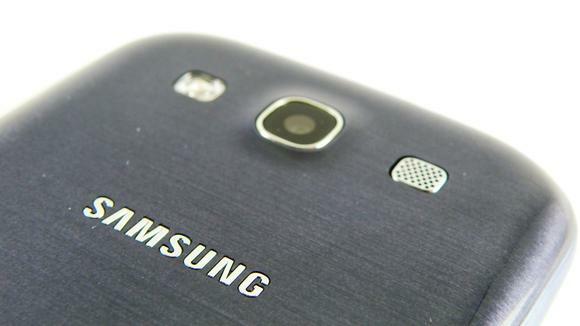 Samsung Galaxy S3 Mini In The Works? Phone design seems to be in the “bigger is better” cycle. We’ve seen Android smartphones seem to be getting bigger and bigger with each release. The Galaxy Note 2, Samsung’s latest phablet, is pushing the limits of what can still be considered a phone by being a device with a 5.5-inch display. Even Apple has succumbed by giving the iPhone 5 an upgraded 4-inch screen. But with rumors of a Galaxy S3 Mini starting to surface, are we about to return to an era of smaller phones? An invite for a Samsung event next week in Germany has been floating around the internet. Internet sleuths have decoded the German invite and reveals that it promises that on October 11, “something small will be really big” and that fans should “get ready for a little sensation.” This leads us to believe that whatever they’re planning to unveil at the event, its small size will be one of its biggest draws. Our money’s on the Galaxy S3 Mini. If you think about it, releasing a Galaxy S3 Mini would make some sense. It could target smartphone users who are looking for premium features but are put off by huge devices. You have to admit, it can be a bit cumbersome to handle the Galaxy S3’s 4.8-inch frame. And while most of us have gotten over it, it did feel weird putting something so huge to your ear when you had to make a call. So what can we expect from the Galaxy S3 Mini? We don’t think it will be a lot different from the Galaxy S3. Maybe the same internal workings except with a smaller 4-inch screen. With specs like that, it could actually be marketed as a direct competitor for the iPhone 5. As with all rumors though, we advice that you take this with a grain of salt. The good news is that with the event happening next week, we won’t have to wait long to find out if a Galaxy S3 Mini is on the way. Stay tuned for more updates! Would you be interested in the Galaxy S3 Mini? What kind of features would you like Samsung to include with it?